A new direction for the Fast & Furious franchise! Fast and Furious 6 is brought to you by the brilliant director Justin Lang and written by Chris Morgan who both brought us Fast and Furious 3, 4 and 5. 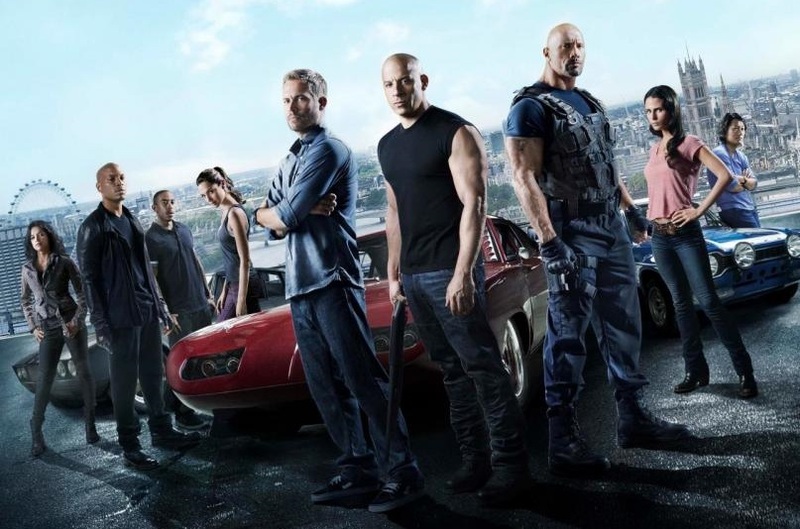 The film has a brilliant packed out cast with another Fast and Furious film (number 7) scheduled to begin filming in August 2013. The film follows Dominic Toretto (Vin Diesel) and his team, who after their success in the Rio heist in Fast and Furious 5, is now retired and settling down with life. However, that is all set to stop when Diplomatic Security Service (DSS) agents Luke Hobbs (Dwayne ‘The Rock’ Johnson) and Riley (Gina Carano) calls on Toretto and his crew for help to catch a British criminal, Owen Shaw (Luke Evans) who is an ex Special Air Service soldier, and now the leader of a heist gang. At first, Toretto refuses to help, but Hobbs hands him information telling him that his former girlfriend, Letty Ortiz (Michelle Rodriguez) – who was presumed dead – is still alive and working with Shaw. Shaw’s plan is to get hold of a computer chip which can destroy humanity and sell it on for billions of pounds. Toretto and his crew arrive in London where they finally make a deal with Hobbs: They will carry out the mission to stop Shaw, bring Letty home and to have amnesty for their past crimes, which in turn will allow them to return home to the United States. Hobbs agrees, which he doesn’t like but knows he has no choice. Shaw’s henchmen leads them to Shaw’s hideout, but it ends up being a trap intended to distract the crew and police while Shaw’s crew performs a heist elsewhere. Shaw flees by car, detonating his hideout behind him and disabling most of the police, leaving Dominic, his team, Hobbs and Riley to pursue him. As the mission continues, we discover the Letty is suffering with memory loss and learn how she happens to have met Shaw and how he pulled her into his heist gang. For me, this is the best Fast and Furious so far! It had action and comedy in it and it has had such great reviews by different types of audiences. What’s good about this one, is they have taken the whole fast cars story and changed it to a completely different tale. Saving a family, saving the world, and working with each other. For me this was like an episode of Top Gear and UFC put together, and it was great! There was action from start middle and end which made it more exciting. The fight scenes in it was really good, but I couldn’t understand why Dwayne Johnson’s character kept spitting during fight scenes? Personally I hope that the next one will be the last one because you don’t want the audience to get bored, which is why the director and writer changed the whole outlook of Fast and Furious for this film. Well done to the cast and crew of another brilliant but different Fast and Furious.